The Stripes Have It Hat is a fun and easy knit. 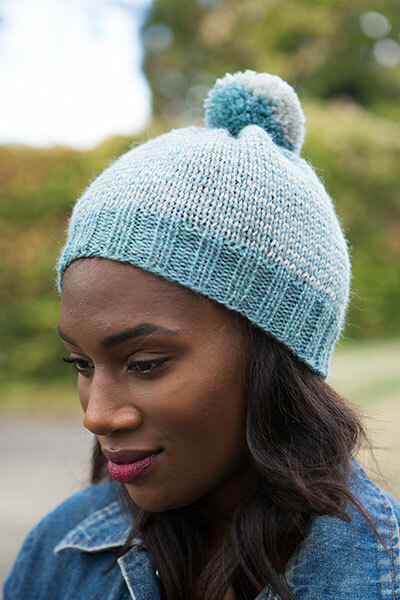 One-row stripes spiral around the hat, allowing you play with color. 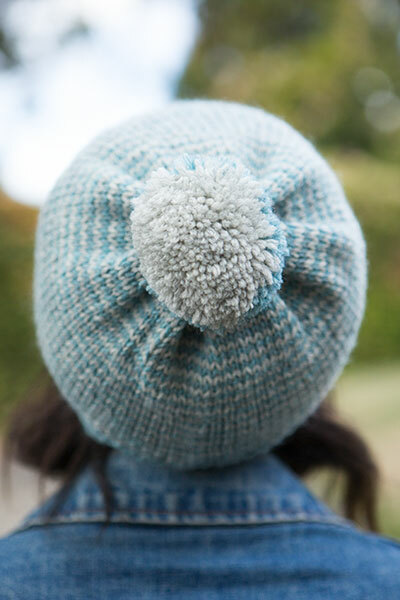 A pom pom adorns the top, giving the hat a playful look. 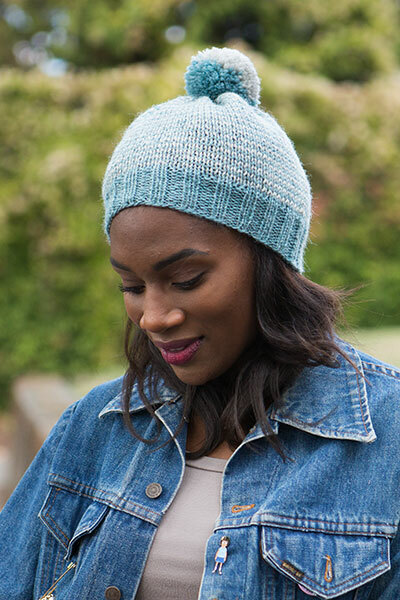 Perfect for TV or social knitting, it can easily be resized to fit your needs.